After starting a vegan cleanse today, and looking for this recipe for an hour, I decided I better add it to the recipes here at OE, so I don’t have to search for it again! And you’ll thank me. This is so super easy and yummy, if you love cantaloupe that is. Not sure it would work for any other melons except maybe honey dew, since its texture is similar. So, if you try another fruit, let us know (in the comments). lime, I only use about 1/4 of a lime for a half a cantaloupe, but hubby likes to have more. Lime cannot be substituted and I’ve never made this without it. It’s like the secret key ingredient in this somehow. Just trust me. mix in the blender until smooth, I use the “smoothie” setting on my Blendtec. Here are some optional things you can add. My cantaloupe was not sweet enough, so I added a few drops of stevia to help it. If yours is sweet, try it first without the sweetener before you add anything. I have not tried it with honey or any other sweetener, so I do not know if it will change the flavor. 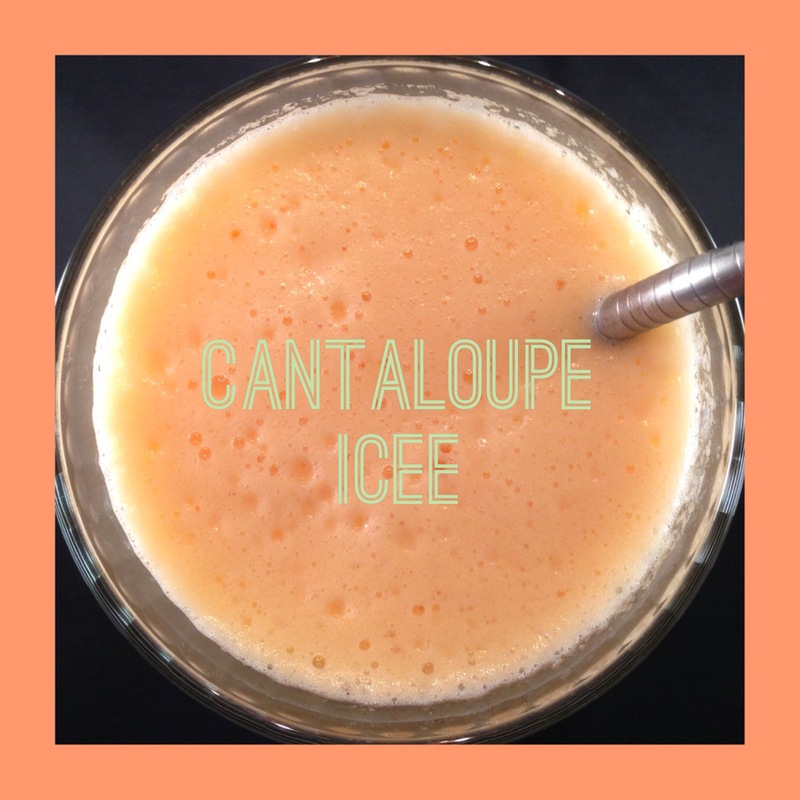 You could add a milk of choice to make this more like a smoothie instead of an icee, but the flavor of the milk, will cover the cantaloupe and lime taste. You can add a drop of vanilla, but it will take away from the tartness of the lime, so choose wisely. Again, hubby prefers the tart. Experiment with it to see what you like. You will want to serve this immediately because it’s just not pretty when the cantaloupe starts separating from the liquid. And that’s all there is to it. So easy. Enjoy! This is what you need to make real lemonade! -sweetener equivalent to 1 or 2 cups of sugar, depending on how you like it. See “good, better, best” list for sweeteners and decide what to use. Use whatever means you have to squeeze those lemons. I wash them, cut them in half, hand squeeze them on the 50 year old glass manual “juicer” I have. I set up a mesh strainer on top of my 4cup Pyrex cup, so that when the juicer is full, I dump the juice and seeds into the strainer, and the lemon juice goes into the Pyrex cup. The pulp and seeds stay in the strainer. Later, I add as much of that pulp as I want. My old glass juicer still works fine! Add enough cold filtered water to make about 3/4ths gallon and then keep testing it until you think you’ve added the right amounts of water, sweetener, and lemon juice. Add your pulp back in if you want. That’s it. The finished product: I think I used coconut sugar for this batch, and it gives it a darker golden color. After juicing the lemons, I throw them in the food disposal for a great smell in there! You can also store the lemons in the fridge for a couple days, if you need lemon zest, etc. for a recipe coming up. 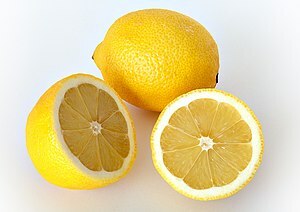 If you know you will need zest, zest the lemons before juicing to make it easier on yourself. 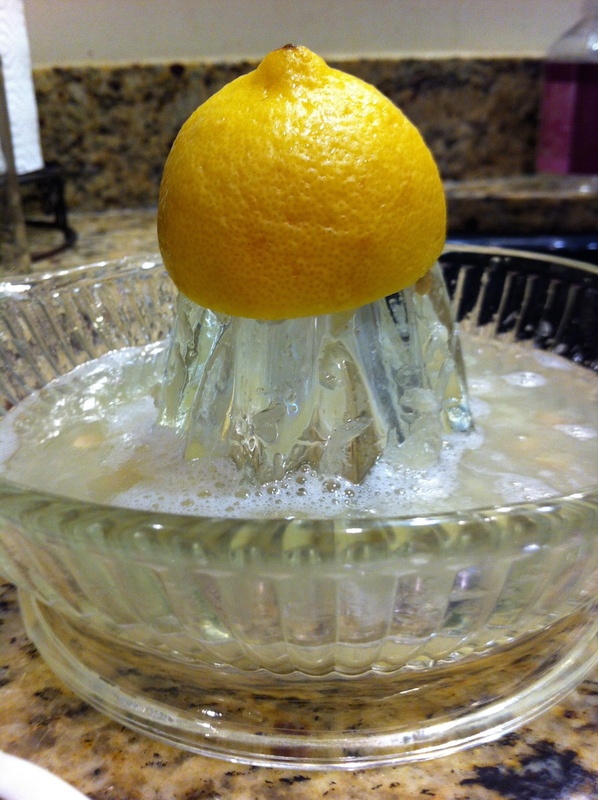 HERE is a post on what you can do with lemon peels. LOVE using up all the benefits of every lemon! 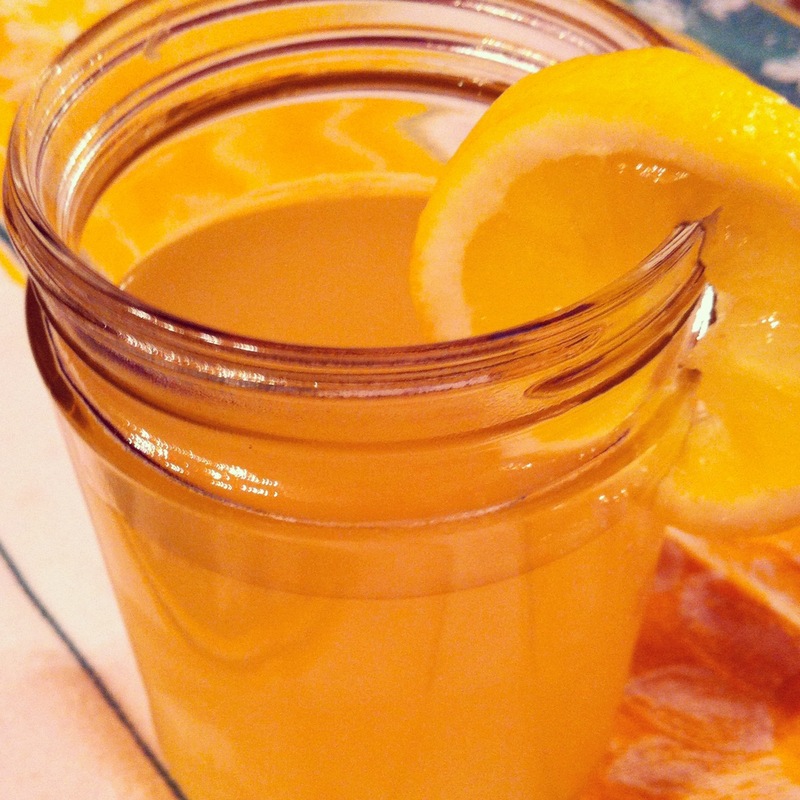 Now y’all pour yourselves a cup of fresh squeezed goodness, and feel great about ALL the healthy benefits of lemons with every sip! Sure beats that ol’ nasty soda any day! :) Add lemon slices in your gallon if you wanna make it look “purdy”. This post at Whole New Mom gives you a stevia lemonade recipe, along with links to why you don’t want to use high fructose corn syrup or sugar.